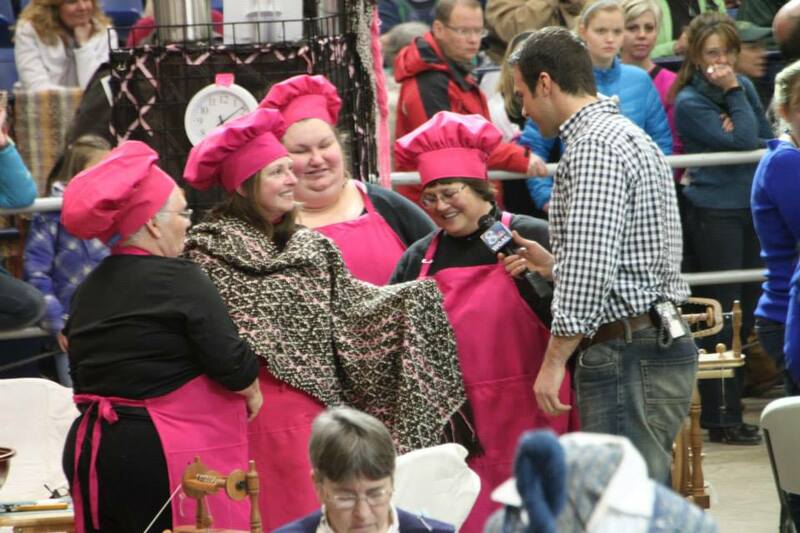 PA Farm Show Sheep to Shawl Competition! 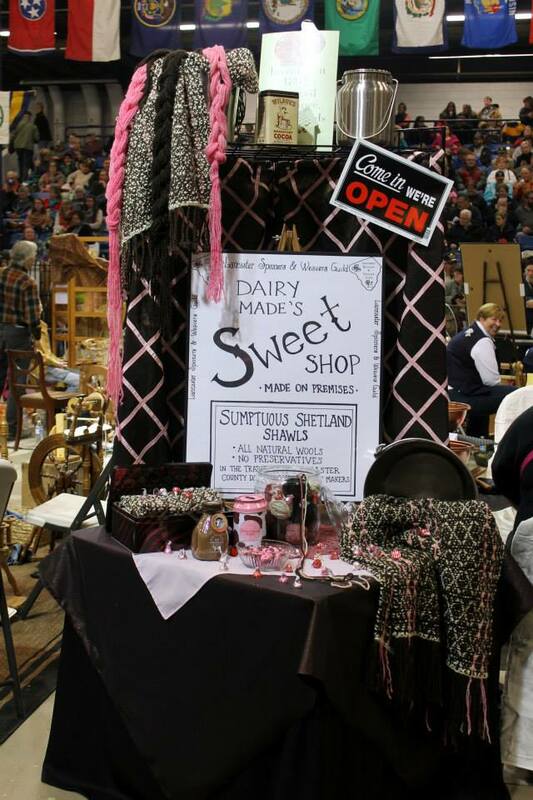 The LSWG team Dairy 'Mades' Sweet Shop participated in the PA Farm Show Sheep to Shawl competition on Wednesday 1/14. The team finished in 2 hours 3 min, and placed 5th out of the 8 participating teams. The shawl auctioned for $900, and the proceeds will return to the Guild to provide educational programs to the members. Congratulations team! Looks like a great time was had by all! Just a reminder that the first Fiber Frolic of the new year will be held on Thursday 1/8 at 7:00! Bring any project that you are working on, or just come to share friendship in the new year! The Executive Committee will be meeting from 7:30-8:30 to discuss programming for the 2015-16 year. The Executive Committee will supply tea sandwiches and various other snacks and goodies. Bring your project and enjoy some time together! Adele Harvey was scheduled to present a program on Shifu - Japanese Paper Spinning, but unfortunately she is ill, so we will have to postpone her program to a later date. We are tentatively rescheduling her for the August meeting. Thursday’s meeting ~ please bring your wheel and Show & Share items! •	Show & Share – bring what you’ve been working on, and any goodies you picked up at Rhinebeck! Sept. 25th Guild Meeting - Tea Cozy Competition! PJ and Donna will provide us with tea and scones to accompany the beautiful tea cozies that members will bring. 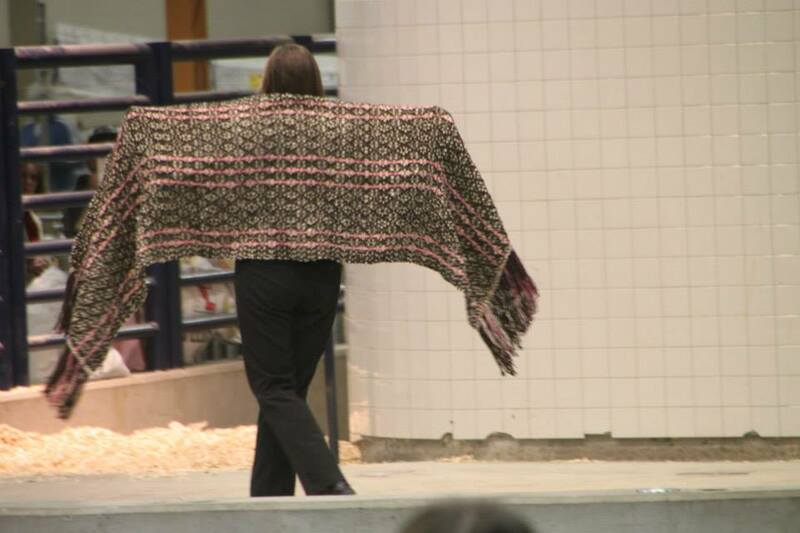 The Guild sale that was to be held at the Wool Frolic at Landis Valley was cancelled due to rain. 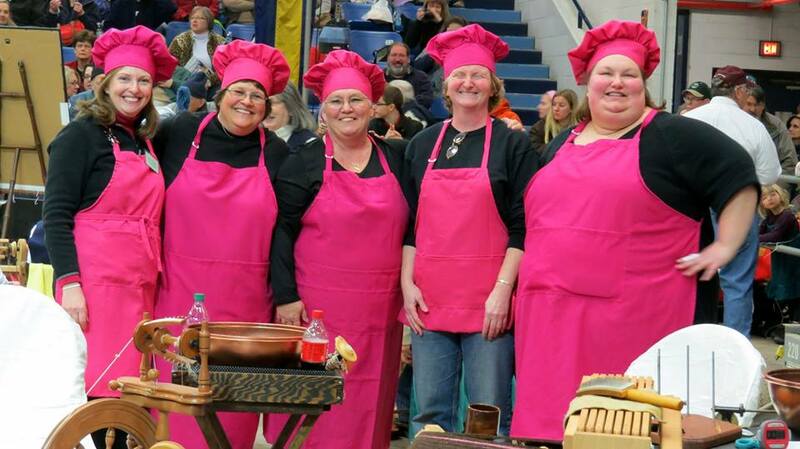 However, the Guild will be demonstrating at the Landis Valley Harvest Days on Saturday/Sunday Oct. 11-12. Members will be spinning, weaving, knitting, and crocheting during Harvest Days. We will also have a Sale table, where members' items will be sold to the public. August Meeting - "Show and Sell"
We will be demonstrating at the Landis Valley Harvest Festival on Saturday, September 13. We have also signed up as a vender! If you would like another place to sell your handmade items, this would be worth trying. A lot of us are hesitant to put our work in shows or sales because the work is not perfect. If we demanded perfection, there would be very few craft shows. But how much imperfection is too much? Bring some of your handmade items. We will talk about a “good enough” piece, then pair up and look carefully at your friend’s work and your own. You will probably be harder on your own work! LOCATION CHANGE for 8/14 Fiber Frolic! We cannot meet at the church due to Vacation Bible School. Please check your email for the address of the 8/14 Fiber Frolic. If you are not a member but would like to attend, please send an email to lancspinweave@gmail.com and we will send you the address. Thanks! Paid Reservations are due no later than Thursday, July 24.